This is a collaboration between Mark Tufo and John O’Brien. 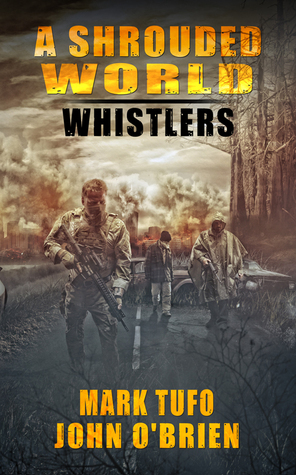 As you know I’ve been a big fan of Mark Tufo books for a while, especially the Zombie Fallout series, so when I saw this I thought I’d better give it a read. It was quite an odd start. The chapters of the book are split into the story from each character. So one chapter would be Mike and the next chapter would be Jack. Actually it seemed odd at first, but worked really well. Talbot was an old friend, but Jack was some new interloper, so this brought him into ‘my’ story quite well and filled in a bit more information about him. The chapters are pretty much a parallel story of both main characters and how they are dealing with being dropped into this new, strange world – I don’t think I’m creating any spoilers by saying that. Also, I don’t think it’s going to be a spoiler to say that their paths cross? Oh, how could I omit this from my review? Mike doesn’t just land in this new world, he crashes there with an old Zombie Fallout favourite – John the Tripper. If anything he’s trippier than ever in this book. The way his character progresses in this book kind of reminds me of how Tommy’s character evolved in the early books. Instead of producing Pop Tarts out fo thin air, Tripper seems to be able to produce something a little more intoxicating 🙂 It’s kind of sweet and funny and, yeah a but weird. But we like weird, eh? I really liked the storyline and love how the characters interacted. Both are very strong characters but it seemd to work very well. The authors clearly had a good time writing this collaboration and it shines through. I loved it and as it was left with a cliffhanger, I would imagine that there will be a sequel? I hope so as I’ll have it on my Kindle within seconds of the release!